I am your single friend. You may know me as the girl you have in mind for your brother, your worship leader, your cousin… or your brother’s worship leader’s cousin. But before you plan our chance meeting, let me pass on something. Being single, I’ve observed my friends and family members who are married, and I’ve been able to see and experience marriage from the outside, looking in. So from my vantage point, here’s my advice: stay permeable. Banning speaks about the strength and wisdom gained from being in community, yet many newly married couples miss out on this when they start a life of “figuring things out on their own.” They often don’t seek help or outside counsel until they’ve reached a point of crisis. Of course, establishing a new life as a couple and spending plenty of time alone together is necessary, but not to the point where the marriage is totally insular. God provides community for a reason. Throughout the Bible, God demonstrates the power of community for couples. When David was having an affair with Bathsheba — one that eventually led to murder — God used Nathan to confront David about it. It took the intervention of an outsider to set them on the right path again. And so marriage is meant to flourish in community; but it doesn’t need to be complicated. Contrary to popular belief, simply going to church regularly is statistically proven to lower your chance of divorce. According to the 2011 Canadian National Household Survey, Christians between the ages of 25 and 34 are less likely to divorce than those with no religious affiliation, with divorce rates of 3.55 per cent and 5.28 per cent respectively. In his book Christians are Hate-Filled Hypocrites… and other Lies You’ve been Told, Sociologist Bradley Wright examines the American General Social Survey to find that 60 per cent of respondents who identified as Christian but rarely attended church were divorced, while only 38 per cent of regularly attending Christians were divorced. Clearly, connecting with community and seeking input from wise and godly people has an uplifting effect on marriage, while constantly maintaining a front causes decay. I’ve observed this from afar as a friend, and also first hand in my own family. My mom recently told me that she and my dad were on the brink of divorce nine years ago. She started praying, and God led her to share her troubles with a long-time friend. With my parents’ consent, this friend and her husband began to pray for my parents. Both my parents started to pray fervently, and through the Holy Spirit, their attitudes about their marriage changed. But they didn’t do it alone. I can proudly say my parents celebrated their 26th anniversary this past May; a victory that could easily have been a divorce statistic. I know sometimes a crisis is needed to jolt us awake, but you don’t need to wait that long to infuse your marriage with the strength and wisdom of your community. It’s OK to let your close friends in once in a while. 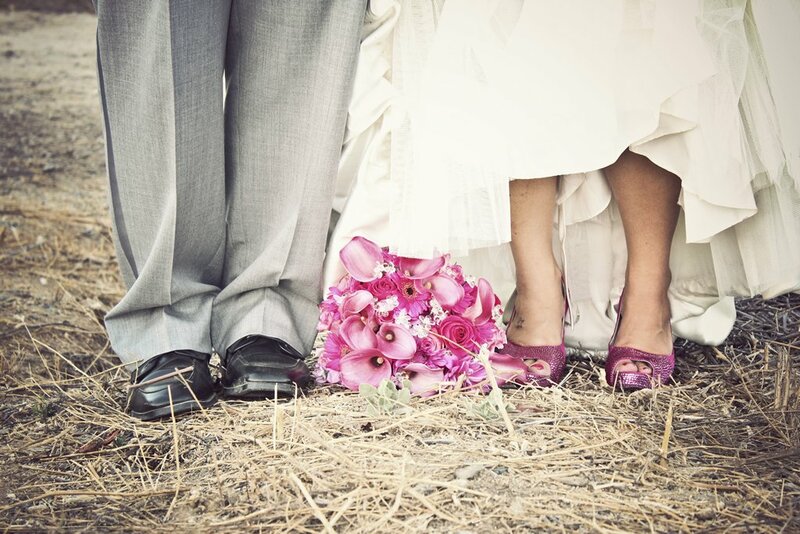 We’re here for you and ready to give your marriage our best. Now, about your brother’s worship leader’s cousin…. Photo (Flickr CC) by Eileen Rivard. is a freelance writer and journalist because she won the English award in Grade 8, and thought it might be a good idea. You can read her work and get in touch on her website.